Item # 315594 Stash Points: 2,495 (?) 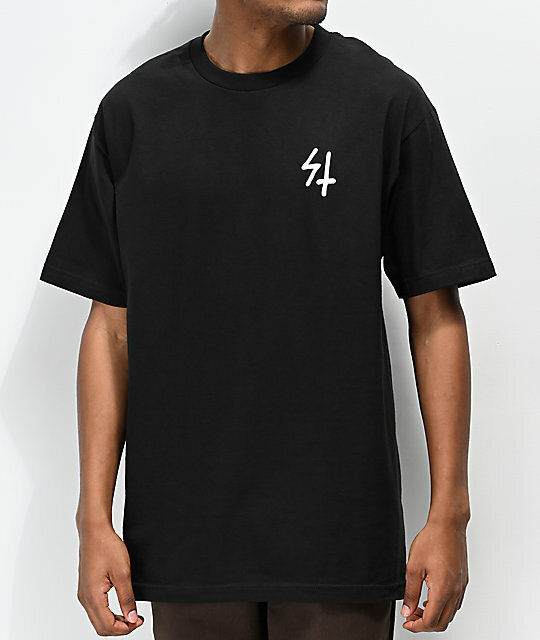 This is the number of points you get in The Zumiez Stash for purchasing this item. Stash points are redeemable for exclusive rewards only available to Zumiez Stash members. To redeem your points check out the rewards catalog on thestash.zumiez.com. 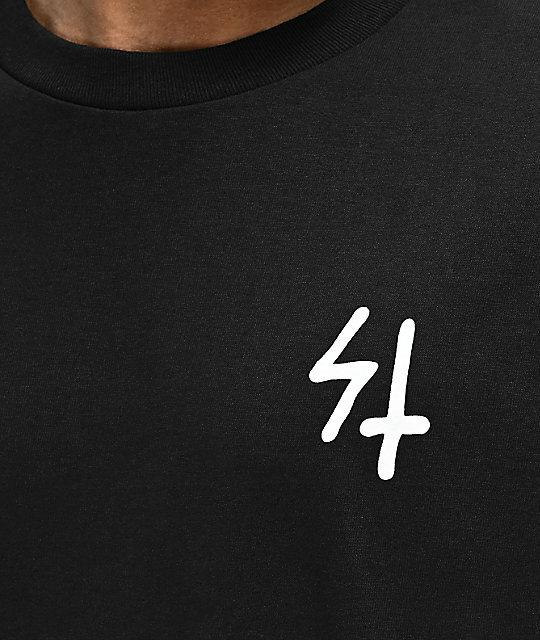 Edgy and graphic heavy, the Lurking Class by Sketchy Tank presents their Pray Black T-Shirt. 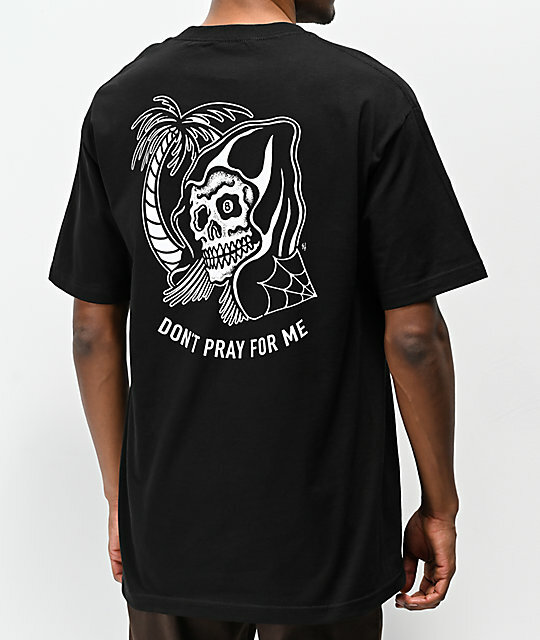 Made from a classic cotton construction and features with the brand's signature "ST" logo on the left chest, while the back displays a large graphic of a hooded skeleton face that's accompanied by a spider web, palm tree and the words "Don't Pray For Me." Pray Black T-Shirt from Lurking Class By Sketchy Tank. screen-printed logo graphic on left chest and large graphic on back.